According to a report by by MarketsandMarkets, the dairy alternatives market is projected to grow from USD 17.3 billion in 2018 to USD 29.6 billion by 2023, at a Compound Annual Growth Rate (CAGR) of 11.4%. 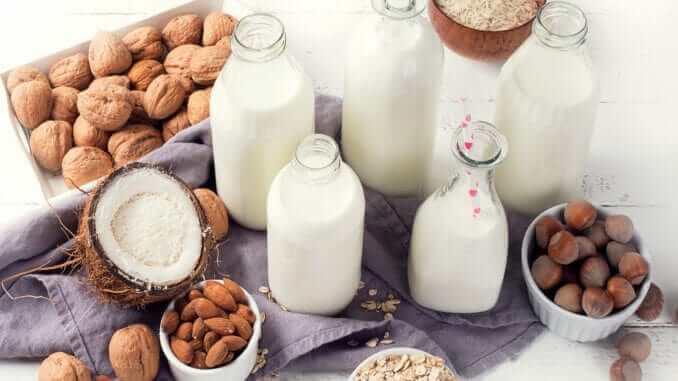 The report Dairy Alternatives Market, reveals that the market was dominated by the milk segment in 2018 and is projected continue this pattern during the forecast period. Companies have diversified their beverage offerings with products containing almond milk, coconut milk, and soymilk, along with other non-dairy ingredients and alternatives derived from hemp, oats, or flax. In terms of distribution, the online stores segment is projected to be the fastest-growing segment in the dairy alternatives market during the forecast period. This is attributed to a growing market of online stores offering dairy-free food product at discounted rates. The increased frequency of online shopping has created opportunities for enhancing the product sales of leading online players and regional domestic e-retailers, such as Amazon, Vegan Online, and Goodness Direct. The dairy alternatives market was segmented for the report into milk, ice creams, yogurt, cheese, creamers, and others. Yogurt is reported to be the fastest-growing segment for dairy alternatives. Asia Pacific is projected to hold the largest market share for the period to 2023. The market in the region is driven by higher economic power among consumers and increase in the consumption of soymilk, which is cheap and abundant in this region. Recent developments in the dairy alternative industry, as stated by the report, include the following. The April 2017 merger of The WhiteWave Foods Company with Danone S.A. (France). The January 2017 joint venture between , Hain Tilda India Private Limited, a subsidiary of Hain Celestial, and Future Consumer Limited (India). The expansion by Blue Diamond Growers of its bulk storage capacity in Salida, US. The October 2016 partnership between SunOpta and Oaktree (US).